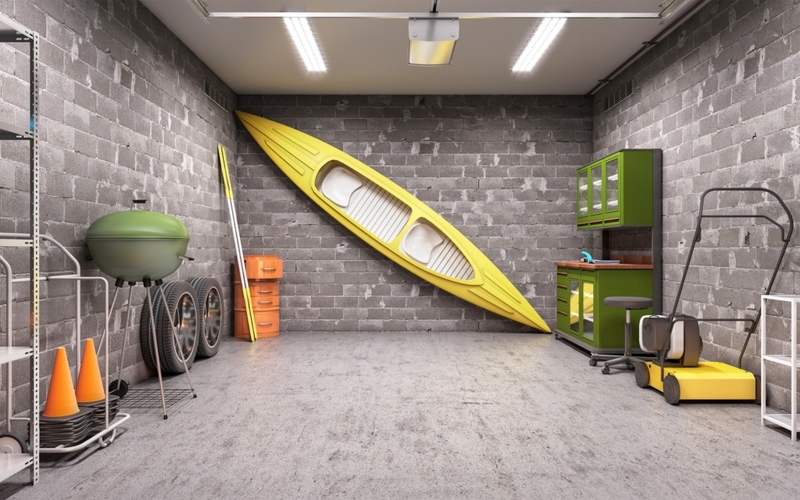 Summer fun often leaves extra stuff floating around in your garage temporarily. Are you tired of tripping over the toys and gadgets? It’s time to try a few creative solutions and use extra space you never knew you had. Most of smaller items can fit into drawers and on shelves. You can customize a cabinet storage system that is just right for you and your garage. Create a clean look with ample storage space. Consider a mobile system if your projects tend to move around the garage. Place storage bins on a rolling shelf, while keeping them off the floor. Look at the space right above your garage door. Install a rack system to hold fishing poles. Place your tackle boxes full of lures and hooks on a shelf on the wall or above your head. Hang bicycles and kayaks from the ceiling or use a standing rack. Pulley systems are great for utilizing that extra space you never knew you had. Give us a call at Overhead Door Company of Garden City™ to add a great garage door with automatic opener to your newly organized space.